Honest John Is an electric car right for me? Do I need a charging point? Deciding whether or not an electric car is right for comes down to the sort of driving you’ll use it for. If you cover no more than 250 miles per day and have easy access to a charging point at home or work, then the answer is an EV is ideal for you. If you can charge at home and work, this can double your daily range to around 500 miles so long as you know you can leave the car plugged in for long enough to charge the battery fully. Off-street parking at home is a big advantage as you can have a dedicated charging point installed and you don’t have to worry about running cables across public paths or not getting parked near your house. The cost of electricity to power an EV is about a third of that for petrol or diesel, so you can save on daily commuting expenses. Also, you don’t have to pay to drive into London’s Congestion Charge Zone or pay the T-Charge, which saves you a lot of money every day. Which electric cars are on sale now? Below are the typical list prices for popular models of electric car and a guide as to to how easy it is to obtain a discount and what you can expect to pay on the used market. Prices dropping fast. On sale since 2013. Just make sure you check on the battery rental situation. Many cheap Zoes will be on a more expensive battery lease agreement. Strong demand for Leaf keeps used prices high. This is in spite of it being launched back in 2012. It's a Volkswagen Golf flagship and there's limited supply, which means there's little in the way of discounts. It's a much more affordable on the used market, with year-old examples available with a £12-15,000 saving on new. A smart, popular car with a keen following. Discounts very hard to come by while it faces little in the way of competition from other brands. There's mixture of electric i3s and 'range extenders' that comes with an auxillary petrol engine on the used market. So, be sure you know what you're buying. You won't find them available at brokers and you're unlikely to get a discount from Tesla. No bargains on the used market, but it does make the Model S slightly more affordable. Prices likely to remain high. How can I compare the cost of an electric car? Our fuel calculator below allows you to choose two models and compare the fuel cost, according to your own personal circumstances. 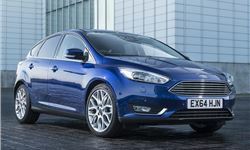 For instance, you may want to compare an electric Nissan Leaf to a petrol Vauxhall Astra or an electric Renault Zoe against a petrol Ford Focus. Why are EVs expensive compared to petrol & diesel? Electric vehicles often cost more than their petrol, diesel or hybrid sister models. Why is this? There are two reasons and the first is the cost of their batteries. Modern EVs use lithium-ion batteries and it takes a lot of time and effort to turn raw lithium into a useful material for vehicles. This process adds to the cost of the finished battery but is necessary to produce one that has sufficient energy density to store enough electricity to power the car and a battery that can be recharged many times without weakening its performance. The other reasons EV cost more is because fewer of them are built than cars with other power sources. This means the development and production costs are spread over a small number of vehicles. However, as EV’s popularity increases so their prices will reduce. You also have lower running costs to offset the initially higher list price as electric vehicles have fewer moving parts and generally wear out components such as brakes less than cars with petrol or diesel engines due to the motor helping to slow the car with regenerative braking to recharge the battery. What's the difference between an EV and PHEV? 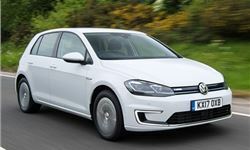 PHEVs (Plug-in Hybrid Vehicles) can be confused with EVs (electric vehicles) because both come with a battery, each can be charged by connecting to an electricity socket and both are capable of zero tailpipe emissions. However, as the PHEV’s name implies, it has more than just an electric motor to power its wheels. Whether this is a petrol, diesel or even a hydrogen engine, it means a PHEV is still reliant on more than just battery energy for its motion. For most buyers of PHEVs, the deciding factor is greater range as a PHEV is less reliant on being charged for every journey. However, this also means a PHEV emits carbon dioxide from its tailpipe when a pure EV does not and a plug-in hybrid will not offer as great a range on battery power alone as an EV. Older electric cars will do somewhere between 50-80 miles - or less if you drive in a more aggressive manner. Modern EVs can be capable of up to 350 miles depending on the specification of their batteries. A range extender is a type of electric vehicle that comes with a small petrol or diesel engine. Rather than powering the wheels, this motor acts as a generator to charge the battery pack that sends its energy to the wheels through an electric motor. When the battery begins to run low, typically when it has 25 percent charge left, the internal combustion engine comes into action. 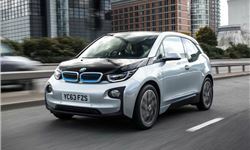 Cars such as the BMW i3 range extender overcome any concerns from drivers about EV range. This is because they have their own onboard charge system, as well as being able to plug into a charging point. However, the fuel tank of most range extender models is quite small to save weight, so it’s always best to keep the battery charged up whenever possible as these cars are intended to be electric vehicle first and foremost. So long as you can attach a cable between the car and a three-pin socket, you can recharge your EV anywhere. However, practicality dictates this isn’t often possible if you don’t have a driveway, off-street parking or a dedicated bay. If you have one of these options available, a charging point is the best bet. As well as making it easier, quicker and safer to attach your car for recharging, it takes less time to top up the battery. Most home charging points replenish the battery at a rate of around 15 miles’ worth of energy per hour. So, a car with a near empty battery will take around eight hours to fully recharge Faster, more powerful charging points are available that reduce the recharging time by half, but they cost more to install. Most EV owners stick with the slower charging point and connect the car overnight to take advantage of lower tariff electricity. How expensive are charging points to install? Around three quarters of electric car owners have a fast charger installed at home. This charges up the car’s battery about two and half times more quickly than attaching the car via a standard domestic three-pin socket, so it’s worth having. Reckon on spending between £280 and £1000 depending on your car and the type of charger you choose. Some EV car makers include the cost of fitting a fast charger at your home or office in the price of the car. If not, the cost can seem prohibitive. 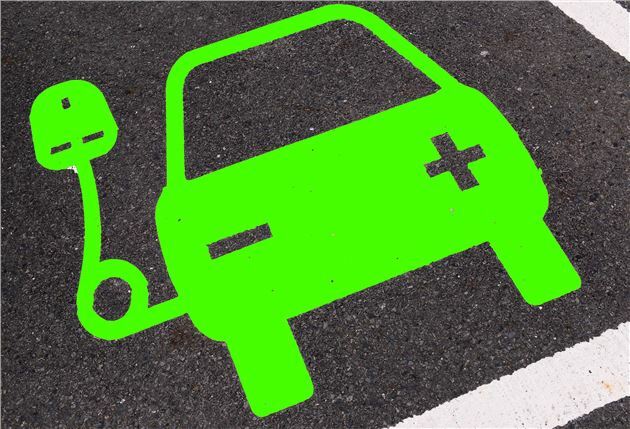 However, the Office for Low Emission Vehicles (OLEV) provides grants of up to 75 percent of the cost of installation, though this is capped at £500. To qualify for this grant from OLEV, you must have taken keepership of a new or second-hand electric vehicle on or ater 1 October 2016. The charger must be fitted by an OLEV-approved installer. You can have two fast chargers fitted at your home using the OLEV grant scheme. It’s also a good idea to have a smart electricity meter installed so you can choose when to recharge your EV using the cheapest tariff. Do I need a charging point and can I charge my electric car from a three-pin plug? So long as you can attach a cable between the car and a three-pin socket, you can recharge your EV anywhere. However, practicality dictates this isn’t often possible if you don’t have a driveway, off-street parking or a dedicated bay. If you have one of these options available, a charging point is the best bet. As well as making it easier, quicker and safer to attach your car for recharging, it takes less time to top up the battery. Most home charging points replenish the battery at a rate of around 15 miles’ worth of energy per hour. So, a car with a near empty battery will take around eight hours to fully recharge. Faster, more powerful charging points are available that reduce the recharging time by half, but they cost more to install. Most EV owners stick with the slower charging point and connect the car overnight to take advantage of lower tariff electricity. How much you pay to charge up your battery-powered car depends on a variety of factors. The first is where you choose to connect your car to a power supply. If you hook up at work or some public charging bays, it can be free to recharge your car’s battery as this is offered as an incentive to use EVs. At home, you’ll pay for electricity at the same rate as you do whenever you use any other electrical appliance. The cost comes down to what tariff you’re on from your electricity supplier and when you choose to charge your car. Most suppliers offer cheaper tariffs at night when there’s less demand, so you should pay around 4.5p per kilowatt hour, which is the unit of measurement for electricity. For a Nissan Leaf with a 30kW battery, that would mean a cost of £1.35 to fully charge the battery. During the day, when the cost of electricity can rise to around 17p per kilowatt hour, charging up the same Nissan would cost £5.10, so it pays to charge overnight at home if you can. At motorway services, you’ll need to use the Ecotricity chargers in the UK that cost 30p per kWh or 15p per kWh for the firm's home energy customers. There’s a 45-minute maximum stay at these chargers. How long do batteries last and what's the warranty like? An electric vehicle’s battery will easily last as long the engine in any comparable model with a petrol or diesel engine. The key to this is regular use, so the battery discharges and is recharged routinely. Like any car, EVs work better when they are used often and with care. Some of the longest serving EVs are now 20 years old and still working on their original batteries. However, performance will drop off and most drivers and experts feel that when a battery drops below 75 percent of its original ability it is due for replacement. That could be many years before it happens as there are plenty of EVs in daily use that have notched up more than 100,000 miles and are still going strong. Makers of EVs are also sufficiently confident in the batteries to offer long warranties. In most cases, that cover extends to eight years and 100,000 miles, though some such as Tesla offer an unlimited mileage warranty over eight years. Should there be a fault with the battery in an EV, it should be replaced by the car maker under warranty in exactly the same way they would with a petrol or diesel engine. This assumes you have stuck to the terms of the warranty and had the car serviced properly. If you’re unlucky enough to have to replace a battery in an EV, it’s an expensive component. In a top of the range Tesla, that could be as much as £25,000, while a new Nissan Leaf battery costs around £5000. However, the good news is these prices are coming down rapidly as more EVs are sold and economies of scale reduce the price of replacement batteries. How do I know if there's enough charge in the battery? Checking how much charge is in an EV’s battery is as simple as looking at the gauge on the dashboard. Just as with a petrol, diesel or hybrid car’s fuel clock, an EV’s will tell you the battery’s charge either with a graphic display or a count of how many miles’ range is left. It’s also possible to check the battery charge remotely in many EVs using a smartphone app. This lets you look at vital information such as battery charge, range and how long it will take to fully charge up the power pack. You can also use these apps to remotely programme the car to only charge up on low-cost electricity tariffs and pre-heat or cool the cabin before you get in so it’s not wasting battery range on these systems as you drive. Do I own the battery or lease it? Buying an EV outright may not mean you own the battery pack. Some manufacturers, such as Nissan and Renault, retain ownership of the battery and you will have to pay a month lease fee. This applies whether you fund the car with a lease deal, hire purchase or purchase it outright. The upside to this arrangement is if there’s any problem with the battery, the manufacturer will fix it or replace the pack at no cost to you. The downside is you’ll be tied to a contract for a pre-determined period, usually three or four years, and there will be an annual mileage limit. If you buy an EV complete with the battery included in the deal, you’re responsible for its maintenance and sorting any problems that might arise with it. However, you’re free to drive as many miles as you like with no restrictions. The EV charging network is expanding rapidly, so you should be able to find a charger close to wherever you’re travelling to. If you’re unsure, you can check online to see what facilities are offered at most car parks, shopping centres and supermarkets, and the dedicated spaces are usually clearly signposted. To find other charging points, there are online maps such as zap-map.com or you can phone ahead to ask about what charging provision on-site at businesses. 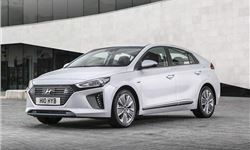 Many EVs will have satellite navigation fitted and this may well have a function to find charging points and which ones are available to use at that exact moment. Choose which one suits you best, programme the navigation and it will take you directly there. You can also download apps to your smartphone that list charging points by location so you can find the< nearest one that’s convenient. Where can I charge my electric car for free? Free fuel is one of the big attractions of an electric car as there are places that let you charge up for nothing. Some companies offer employees free charging for part or all of day to encourage greater use of EVs and also as part of their corporate commitment to the environment. However, some of these charging bays may be time limited so that others can use them during the day. Many supermarkets, shopping malls and car parks offer free charging to attract users. The charging is free for as long as you’re in that shopping centre or car park. When can I use rapid charging? The advice from most car makers is to use rapid charging occasionally to help you reach your destination. It’s a way of topping up the battery quickly in around 30 minutes rather than leaving it attached to the charger at home or work for several hours. A rapid charge will give you 80 percent of full power in 30 minutes of charging. After that, most rapid chargers switch to a slower rate of charging to protect the battery and prevent it from becoming too hot, which reduces its effectiveness. Most EV drivers use rapid chargers now and again, mixed with regular recharging at home or work. Others use rapid charging every day and report no noticeable reduction in battery range or performance. However, it’s best to stick to the manufacturer’s guidelines in the handbook to prolong battery life and protect your car’s warranty. How can I improve the range of my electric car? One of the most common concerns with EVs is battery range – how far you can travel on a single charge. That depends on how, when and where you use the car, but there are ways to extend the battery’s range. Here are our top 10 recommendations. The first, and most obvious, way to get the maximum mileage from an EV is to make sure the battery has a full charge. You can do this at home, at work, while shopping or at a motorway services. Wherever you go, there’s often somewhere to plug in and top up the charge. In hot weather, air conditioning can be essential, but try to use it only some of the time to cool the cabin. Switch it off when the interior is at a comfortable temperature and only turn the air con on again when it gets warmer inside the car. You can also open the windows to create a cooling breeze at lower speeds, though you should close them at higher speeds to make the car as efficient as possible at driving through the air. It’s good advice in any car to make sure its tyres are in good condition, especially with EVs. Under-inflated tyres cause drag that uses more energy to move the car, while over-inflated tyres don’t offer sufficient grip for braking and cornering. The correct tyre pressures for you model will be in the owner’s handbook. Dump the rubbish. It’s amazing how much clutter can accumulate in a car’s cabin and boot. It’s all excess weight that needs more energy to haul about, so clearing out the junk from your EV is a free way to boost range and performance. Plan your route. If you know a route is going to be congested, check out if there’s another way that is more free flowing. Although an EV doesn’t use fuel when it’s stationary, you will use energy for lights, wipers, air con, stereo and charging smart devices. Use driving modes. Many EVs come with a selection of driving modes to tailor the car’s responses to how you want to drive. If there’s an Eco mode, select this when you want to get the maximum range from the car as it will restrict power to the air con and maximise regenerative braking. Use regenerative braking. When you need to slow down, anticipate further ahead so you can make the most of regenerative braking, which charges up the battery with energy that would otherwise be lost through heat and noise as you apply the brakes. Instead, this energy is harvested and returned to the battery. energy being taken from the battery and you may even recharge it slightly if your EV has this type of regenerative braking system. Drive steadily. Planning your journey and leaving a little earlier mean you won’t be in a rush and that’s good for battery range. This is because you can drive at a relaxed, steady pace where you don’t need to keep braking and accelerating, which uses more power than cruising. On cold days, you can pre-heat the cabin of many EVs while they are still plugged in to the charger. This means the interior is warm before you drive off, saving energy right from the start. If your car has heated seats, use these instead of the air conditioning or climate control as they draw less power from the battery. 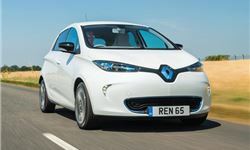 Is a used Renault Zoe a good buy for a daily 30 mile commute? Due to a change in circumstances, we're looking at buying an electric car for my wife to commute 15 miles each way into work, although there's no charging available there. The Zoe looks the best option, with the batteries to be leased. As we are on a budget, do you think it is better to buy a newer one with higher mileage, or an older one with lower mileage? There is so little go go wrong that they are generally reliable. Newer Zoe models are available with a higher capacity motor and battery pack giving longer range. But, if this is irrelevant, on an older car the things to look for are tyre wear, brake wear and damage. I'm considering buying a Nissan Leaf. There's an attractive offer on at the moment. Are they good value? Why are they so expensive? Surely there are fewer components. The cost is in the very expensive batteries. Better to buy the car at a lower price and to lease the battery. Then, when it starts to lose capacity, Nissan has to replace it.